The subject of the hypnosis session transcribed below was a woman, about 45 years old, who was a science instructor at one of the local high schools. She, too, had begun to experience some rather strange things in her life after becoming associated with a metaphysical church in Tampa, about 40 miles distant from our home at the time. This woman, referred to me by the owner of a book store in Tampa, called and left a hysterical message on my answering machine saying that somebody was following her, she was afraid and could I please call her right away because she needed to find out what was happening in her life — it was a shambles! Familiar story, yes? She had been married to a professor at USF and had divorced him when she became convinced that he was sexually abusing their daughter. Whether there was any truth to the abuse claims I don’t know, because the evidence was that the courts must not have thought so, as the father had liberal visitation rights. After a couple of interviews, I scheduled a session, and I was not prepared for what came out of that one! After the induction I did what I normally do in such cases, which was to direct the subject to mentally create a “sanctuary” from which to work. This is a guided imagery exercise in which many things about the individual can be learned by the ways in which they describe their “private retreat” from the world. The general procedure is to find some aspect of the “sanctuary” that can be used as a bridge to the regression part of the session. For example, if there is a mirror on the wall, it can be used as a “viewing screen” to other times and places. If there is no mirror, but there is a window to the outside, then that can be used instead. The available furniture is utilized for further relaxing the subject as he/she is instructed to get comfortable on the sofa/bed/chair that may be described, and the trance is deepened from that position. It’s a particularly useful technique — sort of like hypnosis within hypnosis — because it gives deeper access to the subconscious mind while maintaining the “safety zone” for the comfort of the subject. Q: Are there any books or papers on any of the shelves? A: On the table. There are a few. Q: Can you see the titles on any of the books? A: No. There are no books, just papers… looks like a map. Q: Do you know what it is a map of? Q: Why don’t you walk over to it and have a look? Tell me about it. A: It’s a treasure map. And I see… first I see the directions up in the left corner. A: Celestial journey. It’s got things moving on it! Q: What’s moving on it? A: The lights coming from the little circles… or the ships. The lights keep moving around. It’s down to the ground and they go ’round… and there’s three ships… and the lights go down to the ground. They go around. It’s like they take turns going around… and there’s red and green… and the ground is down toward the bottom. That’s where I’m walking. Q: You are walking in the place on the map? A: It’s funny. I’m in the map! And I’m walking. Q: Continue and describe what you are seeing. A: I’m in the woods. And… I’m… Ooooh… I see this ship… and it’s glowing… pulsating. It’s got lights! It’s just MAGNIFICENT! It’s round… The edge of the trees… I go around… I see it! I SEE IT! Q: Who’s on board the ship? A: They’re out on the ground. Q: Describe them to me. Q: What kind of insects do they remind you of? A: Oh! Grasshopper! This is like… like… when I was in a past life… and I was a grasshopper! And I ate… I ate… something. Oh! I remember. I ate humans. And I had blood all over me. I think I must be one of them… but I’m not sure yet. Q: So, they eat humans? A: There’s this little girl… with brown hair… curly. And she’s dressed in a light colored blue dress. And it has petticoats in it. And this insect being… eats her. Q: Is this one you are seeing as you are going through the woods? Or is it from another time? A: Uhh… this is in the woods. Q: And you see this insect being eating a little girl? A: Oh… I don’t have any feeling. I’m just watching it. It’s like I’m detached. Q: What does the little girl say? A: She doesn’t seem to mind. A: Excuse me… I’m eating that little girl! Q: Okay. How does that make you feel? A: It’s food. I pull her hair back because the hair doesn’t taste good. Q: Do you look at her before you eat her? Q: How does it make you feel now to look at yourself as that other being, that insect, eating that little girl? A: It’s a way of life. It’s just what does happen. Q: Okay, now. I want you to push the button on your remote control and split the movie screen. What do you see behind the screen? A: It’s like an ant… it’s an ANT… and it’s DEVOURING… they’re FEEDING… uh… uh… uh… they’re FEEDING… they’re FEEDING… [Gasping and choking] these kids… KIDS are being herded in and they’re EATING THEM! A: Uh… UH… HUH… [Gasping and choking and sobbing] They’re HUGE! I can’t… There isn’t anything I can do! They have NO understanding! They’re CREATURES! Their EYES! HUGE! They’re like Preying Mantises… that’s it… They tear arms off like we would a chicken wing… Look at the blood! It’s running down! That’s why they grow these kids! This happens ALL OVER EARTH! A: I knew that Earth was a terrible place… but I didn’t know it was a feeding ground! [Coughing] We’re in danger. RIGHT NOW! You and I are in danger. Because we know. It’s scary. This is why there are so many lies and deceptions… The so-called “abductions” are lies… all smokescreen. Jesus Christ! Manipulation… [Laughs] WE are the manna! I SAW this in a past life… but it was left unfinished because the therapist got scared. It’s what you call a “hot item”. […] Now I know why I’m here. It’s penance… what I did in the past. Q: As one of those beings? A: That’s right. But I’m not gonna lay myself down and let ’em eat me! Q: Let’s go back to the map. I want you to go back to your cottage, go to the table, pick up the map and look at it again and tell me what you see. A: I see big… either… It’s not snakes… It’s more like tree roots. And they’re slithering… kind of brownish green. I am ONE of them! Q: You are one of these snakes? A: I don’t see heads… I just see bodies. Q: What is happening to them? A: They just kind of weave in an out like a whole big bunch of earthworms. Q: Do you get any sense of where and when this is? Is it on Earth? A: It’s at the core… Ohhh… I see! These ships go into the Earth and feed these big worms. Q: What do they feed them? A: People. That’s the ships they talk about in Peru. The Arcturian book talks about the caverns that the ships go into… and how they exist inside the Earth. Q: Are you one of these worms or are you just looking at them? Q: What do they use the DNA from these worms for? A: I’m not sure. Let me look. It’s like there’s a basic DNA… and it’s a combination of the worms and the ants… uh… and they can create whatever being that they want to depending on how much they take from where. It’s kind of like a chemistry lab… The whole thing is like a scientific project. A: Oh! They’re going to push me down! And feed me to the worms! I think that I’m there as part of the expedition… but they turn on me and… They’re going to push me out of the ship… and down… to the worms. Q: Do they do it? A: It’s like I’m hanging onto the door… and I plop… down… and they EAT me! Q: Okay. Go back. What do the others in the ship look like? Are you one of them? Do they look like you? A: Yeah. Well… they’ve got clothes on. They have uniforms. The weirdest thing… They have on uniforms… but they’re insects. Insect-like people! Insects with intelligence. More like ants that stand up and have human-like qualities. Now! Hang on just a minute! Their heads! I see the heads. And the eyes… they aren’t really big on these guys. The head turns and… they’re just… I don’t know… Praying Mantis sort of… but their hands aren’t like Praying Mantises… They’re just a different kind of insect… more like an ant. Q: Do they have fingers? A: I guess it’s more like a fly. They don’t really have hands. It’s just like it tapers off… kind of like a fly without wings. And they have on these uniforms. Huh! Q: You were one of them? At this point, I took her back to her sanctuary, gave her suggestions for well-being and integration of what she had learned, and brought her out. Needless to say, this was a pretty bizarre story and I definitely wanted to ask the Cassiopaeans about it at the soonest opportunity. Q: (L) Now, I would like to know the name of the beings Ruth described as something like ants, flies or Praying Mantises in her hypnosis session? Q: (L) Well, you said that the Praying Mantis beings that V encountered were called Minturians. Are these the same? Q: (L) Is there a difference between essence beings and incarnate beings? Q: (L) And what were those snaky, slug-like beings that she saw? A: In some of the alternate realities. Q: (L) Do all humans have creatures like that that are their essence? Q: (L) My essence is something that horrible and dark and icky? Q: (L) Well, weren’t those horrible icky beings eating little children? Weren’t those real human children? A: Yes. How do you think you are viewed by deer, for example? Q: (L) Well, I can immediately see that. I saw that already. I mean that cows and chickens would have to view us that way. I mean, it’s pretty gross. Q: (L) Is that why the night before Ruth’s session, I dreamed of ants that I could have stepped on and smashed, and for some reason I decided I did not want to take the life of even a single ant? Q: (L) Was that dream preparing me for what I was going to experience in that session? Q: (L) Well, what do we do about these essence parts of ourselves? I mean, I don’t like it that there may be something of the predator in me. I would like to not have it, or get rid or it, or transform it, or whatever. Q: (L) Well, am I going to have to remember myself doing things like that in order to come to terms with it? Q: (L) Is that going to happen to me, that I am going to have memories like that surfacing? Q: (L) Well, I am having a hard time coping with it in someone else, how am I going to deal with it in myself? Q: (L) Is this something we are all going to have to do? A: All eligible fourth density candidates. Q: (L) Were these in any way physical beings on the earth we occupy in space/time from where we are at this moment? Q: (L) This happened in a so-called alternate reality? Q: (L) So, in some alternate reality, Ruth is a preying mantis being eating little children? A: And so are you. And all others. Q: (L) Are these aspects of our being coming to earth as part of the realm border crossing? Q: (L) Are all of us going to have to face these aspects of ourselves as other beings? Q: (L) Are there other parts of us in all realms doing other things at this moment? Q: (L) And how is this going to be affected by the realm border crossing? Q: (L) Do we need to do some kind of work such as hypnosis to bring these aspects of ourselves up and deal with these things a little at a time? A: Will happen involuntarily. Will be like a thermonuclear blast. See the pattern. Orion, Pleiades, Arcturas, Cassiopaea; check distances from earth; progress locator for wave combined with earth references of space-time. For you to figure out. Cross-reference channeled messages printing dates and location. We are where we are. Cross-reference time and distance. Q: (L) What book do we need to cross-reference? A: Any star chart and Marciniak, Arcturas Channel, Orion literature and us. We speak from “crest” of wave, now, where are we? Q: (L) You speak from the crest of the wave? A: Window of transmission. How far away is Cassiopaea? Q: (L) Do we need specific distances? Q: (L) So, if we just find the general distances… and does each of these star clusters represent a general area of the wave? A: Each represents locator in space-time. You can judge speed and ETA by cross-referencing distance with publishing dates and these messages from us. Q: (L) I got it! You mean that you are the Arcturians, the Pleiadians, and now you are the “Cassiopaeans” because you “are where you are”! And you are riding the wave. Is this wave a straight line connecting all these constellations? A: Circuitous or cyclical route. Q: (L) So, is it like a spiral? Q: (L) So we really need to set up a map so we can draw it? A: Yes. When we speak from Orion we are “Orions”. When from Pleiades, we are “Pleiadian”, and so on. Q: (L) So, all of these channeled books you have mentioned are coming from the same basic source, through different channels, that they are able to connect with because of their different positions in space time and preparation level of the channels, is that correct? A: Close. We have given you a Wave crest locator. We are from where we are and speak. Get it? We are where we are. Q: (T) So, you are not really Cassiopaeans from the Constellation Cassiopeia? A: We are Transient Passengers. When Wave reaches Earth, we merge with you. Q: (L) When you were at Orion, did you merge with the Orions? A: Not on same frequency for realm border crossing. Q: (L) What effect did the wave have on the Orion sector? A: None. Already at fourth density level. Q: (L) Where did the wave originate? Q: (L) Has it always been cycling through the universe? Q: (T) Okay, you are riding on the crest of this wave in 6th density, is this true? A: Yes. We are you in 6th density. Q: (L) Are you alternate selves extending into higher densities? A: At your current reference point in space-time, we are you in the future. Q: (L) You are not, by any chance, one of those weird ant or preying mantis beings are you? A: We are your whole self as you/we are in 6th density. Q: (T) So, what we are working to become is you? You are us? Q: (T) So, when we move to fourth density and become whole with ourselves, we will know you also for a short time? A: Not whole yet when at fourth density. Closer when at fourth density. Q: (L) When Candy was under hypnosis she described seeing a fleet of space ships “riding a wave” and this unnerved her. She felt this wave was a fearful, invasion-type thing. Did she perceive you and your wave? A: Wave is transport mode. Q: (L) Is that transport mode for many beings? Q: (L) Are you coming to invade us? Q: (L) Are others coming with the intention of invading us? Q: (T) So, everybody out in the whole universe who wants a piece of the earth action is on this wave? A: At realm border crossing. This gave us the idea that this “Wave” business is a lot stranger than anything we could ever have imagined. A: Always “Network.” Networking is fourth density STO (Service To Others) concept seeping into 3rd density with upcoming realm border crossing. Coming from 4th level into 3rd because of influence of wave. Q: (T) Last session when I was here you were giving us information on how to calculate when the wave is going to reach Earth. I was able to plot two of the four for distance, but two were constellations. I cannot plot those distances. A: Check third most distant star in Cassiopaea and middle “belt” star in Orion, closest star in Leo. Then, later in the morning, a friend called to talk at some length about the sound that he had heard during the night and the peculiar effects he noted. That evening, when T & J arrived for the session, they were full of the story about a loud booming noise that had awakened J as well as T’s father. It had been so unusual that they had discussed it at length. So, we asked the C’s about it and again, a seemingly unrelated question led to more information about The Wave. Q: (L) We have a few interesting questions tonight. I think the first thing on everybody’s mind is the strange events during the night and early morning hours, reported by T and J compared with events that JW told me about by phone this morning. T’s dad noted it, and also something woke A up with a start and she experienced some strange effects. I was awakened with a strange feeling that something very loud had just been heard, though it was more like an echo in my head than actually hearing it with my ears. We are a little bit curious about this event, this occurrence, and we would like to have some information on it. What exactly was it? Q: (L) It seemed to be an extraordinarily massive strike, and it seemed to have been heard at a great distance in several directions. Where, in fact, did this lightning bolt strike? Q: (L) Was there any particular significance to this type of blast since it is not something any of us has experienced in our immediate memory. Is there any implication to this blast in terms of fourth density activity? A: You have, and yes. As always. Q: (L) Since this was such a boomer, what exactly was going on in fourth density that produced a boomer like this? A: Overlapping densities, lasting approximately 1.3 seconds, as you measure time i.e. : for 1.3 seconds, you lived completely in fourth density. Q: (L) Did this event have anything to do with A’s experience this morning of being awakened by a rustling in her room and thinking that she heard a squeaky voice calling her name? Q: (L) And what kind of fourth density resident was this? Q: (L) No, I would rather know. If something is going to be visiting my daughter in her bedroom, I definitely want to know who or what it is. Q: (T) This was just a one-time event? Q: (V) Was the reason A was so aware of this is because she is psychically open when she is asleep? Q: (V) Is there anything she needs to do to control her psychic openness in order not to be harmed? Q: (L) Going back to the event of this morning, when JW related his experience of it to me, he said that when he opened his eyes that the light looked yellow… (V) I noticed the discoloration too… (J) Was that related to the event? A: Leftover fourth density effects. Q: (L) Is this something that is going to be happening more and more as we move to fourth density? A: It is a buildup, similar to the early effects preceding the arrival of a sea wave. Q: (T) Yes. 140-mile-an-hour winds up in the Carolinas and out in California they were hitting 160-miles-an-hour winds. (L) Well, they told us we were going to have really weird weather. (T) There was another earthquake in Japan today. This has been ongoing for the last couple of weeks. Japan is supposed to go. (V) Sylvia Brown was on a talk show. She had said that there was going to be a big earthquake in Alaska… a huge one… What can you tell us about this? Q: (L) You guys said that we were going to have a whole big, bodacious bunch more of UFO activity this year, is that correct? Q: (L) And I guess it has already started because some guy in Michigan filmed a UFO in broad daylight and they showed it on the news three days in a row and I don’t think they were being snide in their comments… (F) Yes they were. I saw it on Channel 13 and they were being definitely snide. (L) The fellow in Michigan, could you identify that craft for us and to whom it belonged? A: It was the Grays. Q: (L) Now, are the Grays going to allow themselves to be seen more and more in third density in the upcoming years? A: Yes. All of these events are related to that with which you are now familiar. All is related to approach of oncoming wave, what the details are will remain to be seen. Q: (Susy) Why are you choosing Laura and Frank to transmit this information? A: Because balancing fields are correct. Q: (Barry) Maitreya… What is the destiny of this person in this lifetime? A: Plays prominent role in disinformation process. Q: (Barry) Is Benjamin Creme aware of that? Q: (Barry) Are the ETs putting thoughts in Benjamin Creme’s head? Q: (Barry) What is their purpose in this? A: To cause confusion, diversion, and deception so that reality channels may be cloaked. Self-explanatory. Q: (Barry) Does this mean so that what we think is real really isn’t? Q: (Barry) This must mean that the Aliens want to give us one person to focus on which is so spectacular, so that we cannot see the truth. Q: (B) Does this mean that Benjamin Creme is an STS person? Q: (Barry) Is he the antichrist? A: No. The “antichrist” is not an individual, but consortium. Q: (Barry) Who is the Consortium? A: Term refers to idea of large body of individuals. Q: (Barry) Are these people who have reincarnated for lifetime after lifetime and have kept the same memory to continue the same plan? A: Only a select few. Q: (Barry) Is this channeling going to go beyond the primitive method of one letter at a time, or is it going to go into the method of writing or typing or direct channeling consciously or unconsciously? A: Can now, but there is less danger of corruption through this method. Q: (Barry) What is the purpose of this contact? A: To help you to learn, thus gain knowledge, thus gain protection, thus progress. Q: (Barry) What do the Cassiopaeans gain from this contact? A: By helping you, we are moving toward fulfilling of our destiny of union with you and all else, thus completing the Grand Cycle. Q: (Barry) Is this the only probability open to you or is this the best probability open to you? Q: (Barry) Are you a great distance from us in light years? A: Distance is a 3rd density idea. Q: (Barry) Light years is third density? Q: (Barry) What do you mean by traveling on the wave? Q: (Frank) Our thoughts or your thoughts? A: All is just lessons. Thoughts unify all reality in existence and are all shared. Q: (Susy) You travel on a wave of energy created by all thought forms? A: Thought forms are all that exists! Q: (Barry) Have those that are STS acknowledged that those that are STO are going to win in this race or conflict? A: No, absolutely not! In fact, the STS cannot conceive of “losing” but instinctively feel pressure building upon them, that is the reason for the impending turmoil. Q: (Barry) What happens to them when they lose, does this mean that they are degaussed, or does that mean that they have to go back and do the whole evolutionary process all over again on the other polarity? Q: (Barry) So, there is a nexus point coming up? A: Close. When we said “close” we meant concept was “close” to reality. Not close in terms of time or distance. Q: (Barry) At that point do they experience the pain that they have caused? A: No. That is what happens on 5th level only. Q: (L) You have told us in the past that you are us in the future and that you are moving this way to merge with us. Q: (L) As we measure time, how far in the future are you us? A: Indeterminate as you measure time. Q: (L) Does this mean that at the point in time when the wave arrives on the Earth in this upcoming event that you have given us the information to plot the ETA, is that the time at which you will merge with us and become us in the future? A: No, that is not the correct concept. Q: (L) I see. (T) So, what you are trying to say is that when the Wave comes it is going to take us to fourth density, if we are ready, but we are not actually going to merge with you in sixth density at that point, but we may experience a “merge” at that point because all points of focus merge during transition from one density to another? Q: (J) What part is right and what part is wrong? (T) The Wave is going to take those of us who are, at that point ready, to move us into fourth density, is this part correct? Q: (T) Which part of it is open? A: You are a fourth density candidate. Q: (T) So, we are fourth density candidates but that doesn’t necessarily mean that we will make it into fourth density, true? 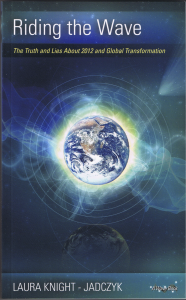 Q: (T) As fourth density candidates, anyone that is, when the Wave comes, if they have reached the correct frequency vibration, and have raised themselves up to the point that the wave will take them, they will, at that point, move into fourth density, true? Q: (T) Now, when those who move into fourth density make the move, will they experience completeness or merge with all other densities of their being, at that point, even if it is for a short time? Q: (T) But, for that small instant, because there really is no time, maybe an instant or an eon, depending on how any individual might measure it; we might experience oneness with ourselves? At some point around this time, I watched a TV program about what is called the “Taos Hum,” which is a humming sound heard in Taos, New Mexico, mostly, but has been heard elsewhere as well, and only by some people. Apparently it is quite annoying to a few of them. All sorts of theories were offered, but nothing really fit all the instances precisely. Q: (L) I want to know what this humming sound is that people are hearing all over this country? I mean people have been reporting hearing this intense humming sound that literally drives them crazy. There was a TV special on about this the other night. What is this humming and where is it coming from? A: Increased EM waves in preparation for oncoming wave. Q: (L) What is the source of this sound, I mean, where specifically, location-wise, is it coming from? The following excerpt from the Cassiopaean Transcripts brings up a very interesting idea. The Cassiopaeans have suggested that there is a soul evolution, which is facilitated by the works of higher densities. Apparently, souls “grow.” After eons as say, rocks, they evolve to become plants. After aeons as plants, they evolve to become lower animal life forms. After some period as this or that type of animal, they may graduate to a higher or more intelligent animal which has some sort of interaction with human beings, and after numerous incarnations of this type of interaction, they advance to become the “lower level souls” of humanity. At this point, they begin incarnative experiences through the human cycle in third density until they come to the point of graduation to fourth density. A: One of your cats, no, make that 2 of your cats, are close to transition to 3rd level. Q: (T) Sabrina’s moving up in the world, she’s going to get a promotion! (J) What’s going to happen to her when she hits third? She’s going to be a human? A: Yes. We mean at next incarnation whenever that occurs. Q: (T) Two of our cats? They are third density “candidates” like we are fourth density candidates? Q: (L) Does that mean that when a person is a fourth density candidate that they have to leave their body to go to fourth density? A: Yes, unless they are in the body when the wave arrives. All of the above material illustrates some aspects of The Wave. We are beginning to understand that it is some sort of truly amazing Cosmic Event, which will be affecting our lives for some time to come. But, there is still more. Our curiosity about this event was just getting warmed up.